Securely fasten wooden tops to your desks and occasional tables, while also allowing for seasonal wood movement. 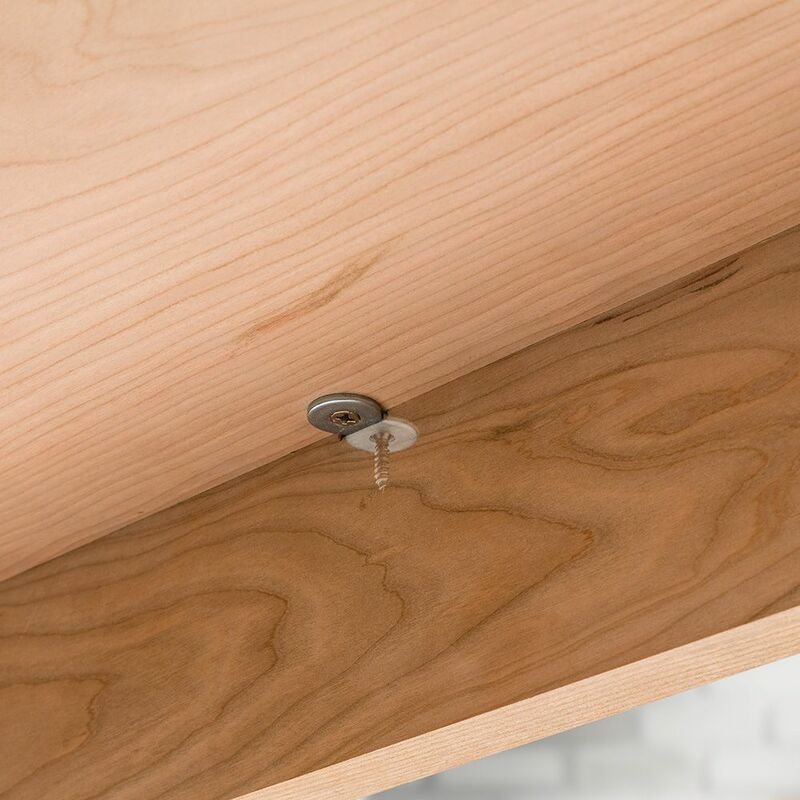 Our figure-8 fasteners are an ideal way of attaching wooden tops to your desks and tables, while also allowing for seasonal expansion and contraction of the wood. These fasteners are made of heavy gauge steel, nearly an 1/8'' thick. 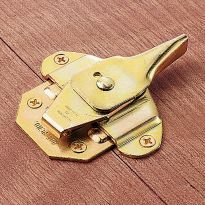 Thanks to their flat bearing surfaces and circular ends, the figure-eight clips can easily pivot in their recesses when the top moves, which helps to prevent splitting. To allow for more wood movement on larger tops, they are best used in end aprons only. Each desktop fastener is countersunk for screw heads in opposing directions. 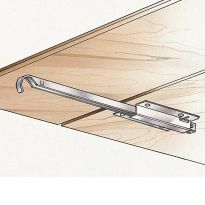 Installation is easy—simply use a Forstner bit or router to create a small recess for each fastener. 12'' spacing is recommended. 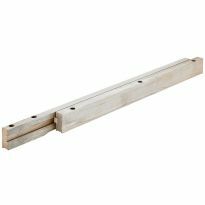 Great for fastening shelves and table tops. 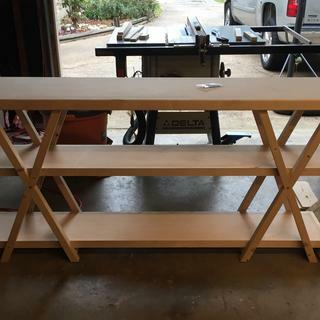 Needed a way for one of my students to fasten a top for his new bookcase. I used these to attach a table top to an end table I recently completed. Some of the reviews said that the screws were too small and if tightened too much they would go through the pre-made holes in the bracket. I did not find this to be the case. The screws were the perfect size. I suspect that the other reviewers did not understand that the screws should not be over-tightened so the wood movement due to expansion and contraction can take place. Got the job done, happy this hardware was available. I like the ease of which it can be attached. It gives enough movement to make up for the movement of the wood. I have recommended it to friends. Right time and place for me. Once again I needed some simple hardware fast and Rockler had the figure 8 fastener on the shelf, thank you. None of the big stores stock this type of hardware. With a flat bottomed forstner bit drill a shallow indentation, the thicknes of the fastener, and drive the screws. Just don't tighten them too tight. With slight force you should be able to rotate the fastener, so they can adjust for expansion. Easily done, easily put out of sight. I have used this and other Rockler products for many of my projects. Always as presented with great results. Great product, easy to use and very useful. Will order more. I will order more of these for future products. I had never heard of these until a friend told me about them. 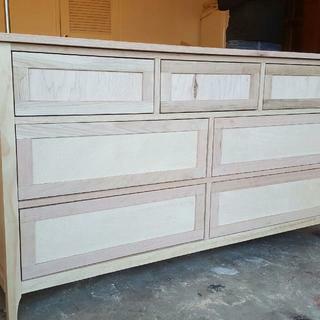 Great way to attach a top to a cabinet or furniture. Easy install. Attachment to table top is closer to end of boards than “z” fastners and expect better prevention to cupping. Top of nightstand attached to aprons using “8” fastners. Great product. Decent price, could be better. Love these things. I use them to attach almost all of my table tops weather it be nightstands, coffee tables or dining tables. Also all of my bench tops. I was pleased to use these fasteners for the first time. They accomplished the goal at hand and I would use them again. Easy to use and they will keep my desk top from warping. 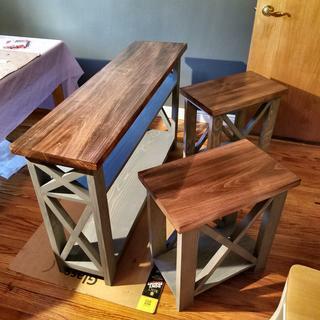 These were the perfect solution for attaching the top to an end table that had no apron. Stability was supplied by a shelf at kick plate level. 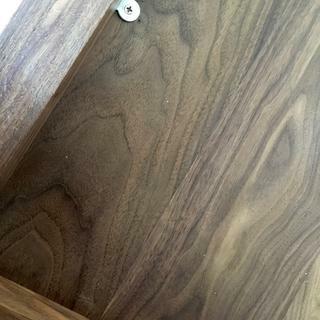 Attached to the top of the leg they will allow movement of the solid walnut top. Worked great for attaching top to nightstand. Worked perfeclty for attaching my top to my dresser drawers. They were just light I was hoping. Several of the reviews make these sound thin, but the one I had seamed appropriately thick and solid. 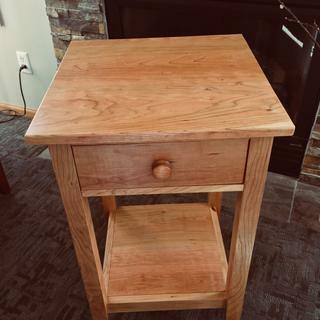 I was finishing up a couple of nightstands. 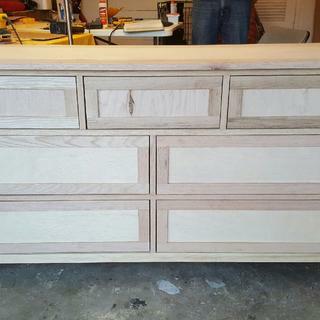 I made solid oak tops and realized that I needed to allow room for movement. I read the reviews and got concerned about quality. I decided to order these anyhow. Good choice. They arrived quickly, they were easy to install, came with all necessary screws and contrary to some other reviews I was able to lift the nightstands by their tops without issue. I highly recommend these! I was surprised when I received my fasteners that they even included the screws. Perfect! 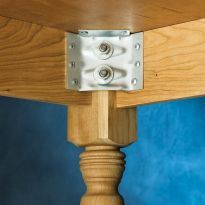 great item works the best of all table top fasteners I have tried. Out of stock online, but found them at a local Rockler store (ontario). 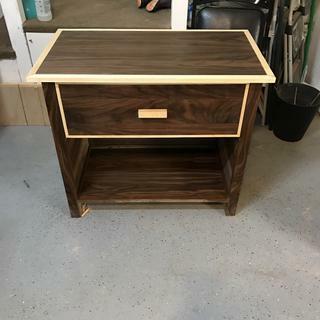 Just what I needed to connect top and bottom of a roll top desk. I have used these successfully for several table tops. I rout a recess in the apron to accommodate the thickness. 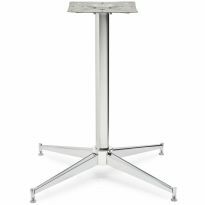 Note that I always install these at about a 45 degree angle to allow for seasonal movement of the solid table tops. Good screws! Works well, instalation is very easy! table top fasteners are small neat and quick .just a few cuts with a router your all done.I really like them. Works well doing what it is meant to do. I almost didn't purchase these after reading the reviews. Later reviews reported that they had changed the material these fasteners were made of. The ones I received were heavy gauge steal, 1/8in thick. They do not resemble the picture and appear to be of the good quality originally reported. Also, the #6 screws that come with them DID NOT pull through the holes. They basically look like a figure 8 washer. I used them to attach the top to a display case table 14in x 35in placed 12in apart. I have no doubt they will sufficiently secure the table top. 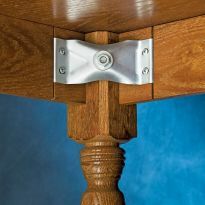 I've used these fasteners to hold down counter and table tops and they work great. I decided to use the fastener to hold up a quilt rack on the wall and they work great because of the weight of quilt and solid oak rack. Super easy to install. Allows for wood movement. Highly recommended. I used them to hold upholstered inserts for cabinet doors. Worked like a million bucks or a billion in today's economy. I used them to attatch the top on a round coffee table. They worked great. I will have them in stock for the next project I might need them for. I love these things. They work just as advertized. Always keep a few packs in stock.!! 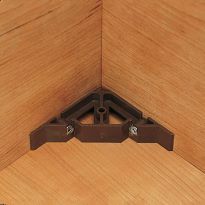 They are the easiest way to connect tops to bases, meaning tables, desks or cabinets. My wife asked me to order it for her...Happy Valentine's Day! same reason as for the dye. Work good. I have used them before. Recommended by Chris Salomone on youtube. used them previously, good way to attach desk/table tops without visible screws. Best way to attach table tops of all kinds. I use it to secure my live edge tops. 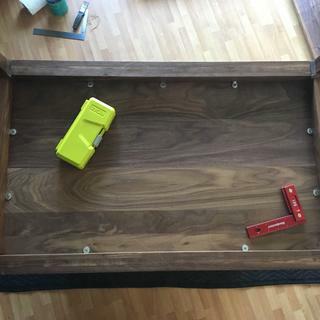 I need to attach the top of the desk to the base. Just looking for a quick and easy way to fasten live edge coffee table tops. Have used them before. Work great and installation is simple. To attach table tops and to allow for wood movement. I have used them before, and needed more. Attaching vertical material to horizontal material for a closet build out. I use the for fastening tops to smaller tables. 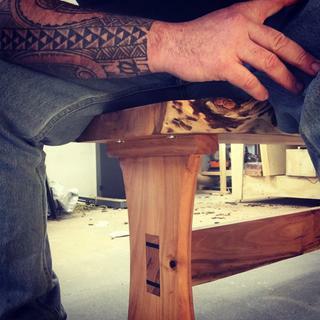 In order to fasten the top to the table I am building. I like these type better than others. Have used Figure 8 fasteners for many years-quick, simple and reliable. 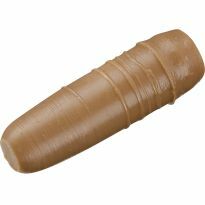 I teach woodworking and this is a great way to attach tops to bases. The wood can move, it is easy to do, it is quick, and it looks clean. 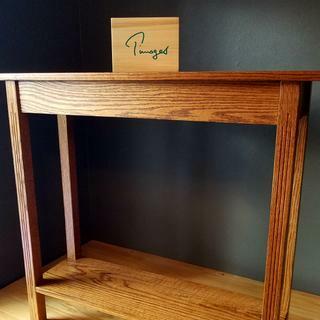 I'm mounting a solid 2 inch thick oak desktop to the desk and need to to move with the season and not split. They work, simple to use. 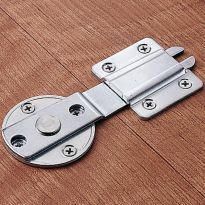 What is the best style of table top fastener for high humidity outdoor climates? The circle 8 style (Rockler item no. 21650) or the Z style clip (Rockler item #: 34215 )? Do any of these come in stainless steel to avoid rust? the Z style clip would allow for more movement in those conditions but I do not know if they or anyone else makes them in stainless steel. Personally, I really like the circle 8 fasteners. Never had a problem with rust. Think they allow the top to move so I've never had a problem with wood splitting. 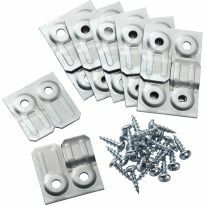 Can you use these fasteners with threaded inserts and bolts so the piece can be disassembled for moving/storage? There is no reason they can’t be used with threaded inserts and bolts as long as you can get them so the bolts will fit through the fastener. 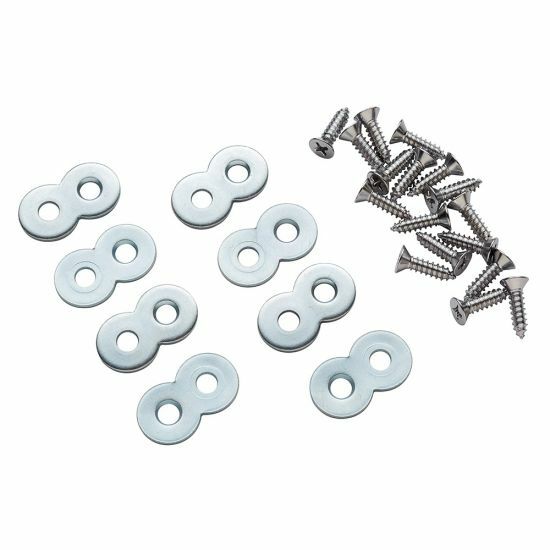 I've used these figure 8 fasteners for fastening table tops to leg assemblies and yes you can take them apart for transport. Is there an instruction sheet to attach fasteners? I do not believe so. They a simple enough to install. Use a brad point drill bit a little larger than the diameter of this fastener. Drill into the rail the depth of the fastener. This set will keep the top on the rails as opposed to a gap between the top rail and table/desk top. Use included screws to attach.